Kendra comes to San Francisco, a sleepy town of nine hundred people, because her stepfather, an army colonel, is charged with overseeing its defenses during the Mexican War. Marny arrives from Honolulu to set up a gambling hall. Neither expects to be swept up in one of history's greatest adventures, which begins when tiny flakes of gold are discovered in the California hills. As both young women follow their dreams into the mining camps and back to a rapidly growing San Francisco, they encounter ambitious settlers, sailors, miners, ranchers, and mysterious drifters, men who will offer them love or friendship or will break their hearts. Yet Kendra and Marny's lives stay centered on the Calico Palace, the little gambling operation in a tent in Shiny Gulch that becomes the most opulent gambling house in California. 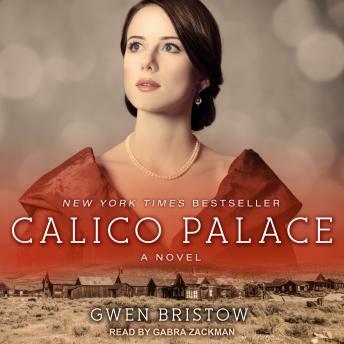 Thrilling and rich in authentic historical detail, Calico Palace is first-rate historical fiction that informs and entertains.